Dynaudio has wowed us with their attention to detail and drive to excel. Dynaudio has wowed us with their attention to detail and drive to excel. They never rest on their laurels in their quest to make music listening a sublime experience. 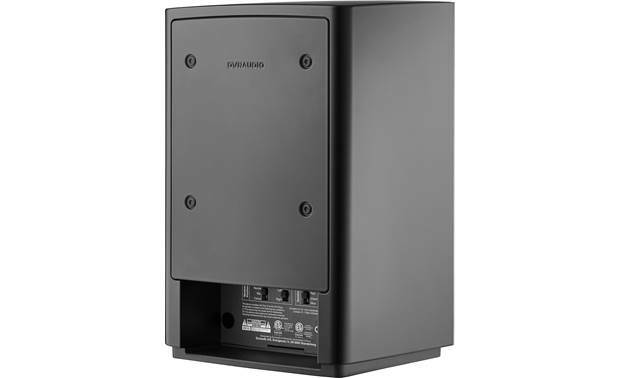 Each speaker features digital and analog connections, and control switches to help you get optimum sound in your unique room. 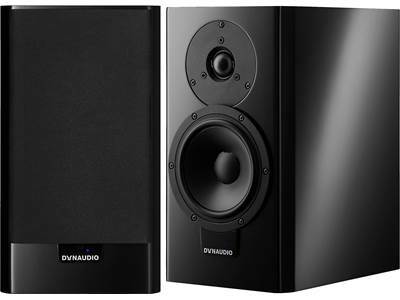 The Dynaudio Xeo 10 was created to replace the soon-to-be-retired Xeo 2, an excellent speaker I've listened to in person. I was blown away by the older speaker, writing "The soundstage expanded out to fill the room, and each note was so precise, I felt like I was standing next to the musicians." So how on Earth can Dynaudio improve on that experience? For starters, they made subtle but important tweaks to the speaker's 5-1/2" woofer but left the previous model's amazing 1-1/8" tweeter alone. Then they re-tuned the crossover to improve dispersion and performance at high volume levels. 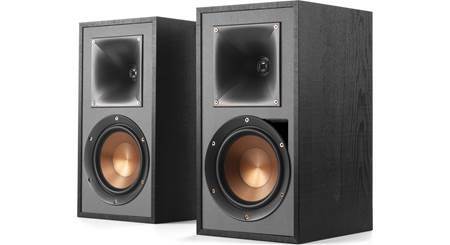 The Xeo 10's upgraded woofers are made from Dynaudio's signature material: Magnesium Silicate Polymer (MSP). Each MSP cone is molded in a single piece, which helps to optimize sound dispersion. There's no separate dust cap, which further enhances the cone's structural integrity. A down-firing port concealed by each speaker's rear cover plate helps the driver to produce accurate, musical bass. You don't have to have a degree in engineering to understand why the Xeo 10's design is important — the proof is in the sound. Your music doesn't sound like it's trapped in a cabinet — it sounds like it's filling the entire room. Unlike most powered stereo speaker pairs, each Dynaudio Xeo 10 has two 65-watt amplifiers built in, with equal power going to the tweeter and woofer. And that makes them very versatile and flexible. Each speaker has a couple of analog connection options: a 3.5mm "aux" input, and a left/right stereo RCA input. The Toslink optical input lets you connect a digital source directly. And good news — Dynaudio includes connecting cables for each. Powered Wireless Bookshelf Loudspeakers: Each Dynaudio Xeo 10 powered wireless speaker features a 1.1" precision-coated silk soft-dome tweeter and one 5.5" magnesium silicate polymer (MSP) mid-woofer powered by a 130 watt digital amplifier for true high-end sound with great dynamic range, expansive soundstage, exceptional accuracy, and a natural tonal balance. The Dynaudio Xeo 10 provides Bluetooth, analog, and digital connectivity. Each speaker will need to be plugged into an AC outlet. 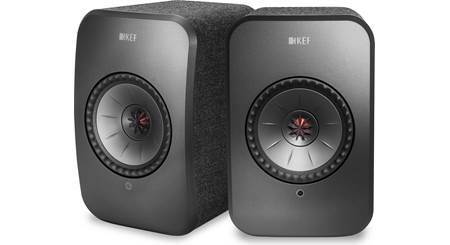 However, there is no need for a physical connection between the speakers, because one powered speaker streams to the other powered speaker wirelessly. Twin Bi-Amplified Digital Amplifiers: The Dynaudio Xeo 10 powered wireless speaker system utilizes twin 65 watt amplifiers inside of each speaker for a total system power of 260 watts. Each speaker's tweeter and woofer has its own 65 watt digital amplifier that has been specifically matched, individually tuned, and precisely optimized to power that particular driver. This means you don't need to concern yourself with matching other components to the speakers, because Dynaudio has done all the work for you. Because the amps and drivers are so close together, there's less internal wiring. Less internal wiring means less possibility of interference. It also means the signal can stay in digital form for longer - only being converted to analog at the last possible moment - before it's output as physical sound. The result is clearer, cleaner audio at any listening level. Advanced DSP (Digital Signal Processing): Advanced DSP (digital signal processing) filters and adaptive bass technology tailor the sound of the Xeo 10 speakers to your room and application. You can select between 3 DSP modes - Neutral (free-standing placement), Wall (placed near a wall), or Corner (placed in a corner). You can also select which speaker is Left or Right. Rigid Bass Reflex Enclosure: The Dynaudio Xeo 10 powered wireless speaker system utilizes a bass reflex design with a rear-firing port on the back of each speaker for greater efficiency and bigger bass response. The 1.1" tweeter and 5.5" woofer sit in a solid aluminum baffle and ultra-stable composite housing designed to minimize unwanted interference. Additional internal damping, strengthening, and bracing in critical sections of the cabinet substantially reduce unwanted resonance. The included grilles have been designed so they do not influence the sound dispersion of the speakers. They are attached to the speaker cabinets with magnets and may be removed if needed. Bluetooth Audio Streaming: The Dynaudio Xeo 10 features built-in Bluetooth 4.1 with support for wireless audio streaming (A2DP) and control (AVRCP). You'll be able to wirelessly stream stored music, music apps, and other audio content from your Bluetooth source device (such as your smartphone, tablet, or computer) to the Xeo 10 speaker system. You'll also be able control basic playback functions (such as Play/Pause, Previous/Next Track, & Volume) from the included IR remote. You can pair multiple Bluetooth source devices to the Xeo 10 system, but only one device can be connected and played back at a time. Note: The Dynaudio Xeo 10 speaker system does not support Bluetooth hands-free communication for making or answering phone calls. 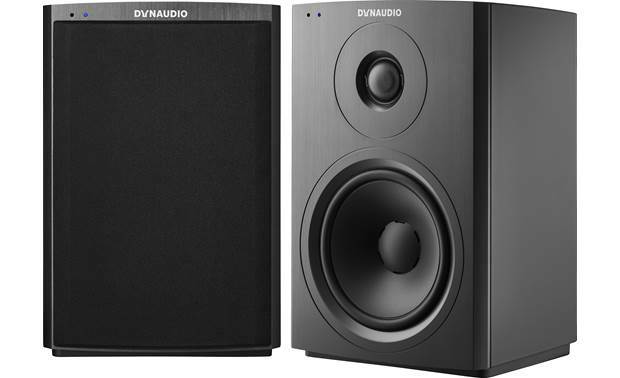 Digital & Analog Inputs: In addition to wireless Bluetooth connectivity, the Dynaudio Xeo 10 speaker system offers digital and analog wired inputs. There is one optical (toslink) digital input that will accept 2ch PCM audio up to 24-bit/192kHz (not compatible with Dolby Digital/DTS). There are also two analog audio inputs, consisting of 3.5mm Aux input and one stereo RCA input. Simple Controls: The Dynaudio Xeo 10 powered wireless speaker system can be fully controlled with the included IR remote, while buttons on top of the cabinet let you switch it on/off or change the volume. The operational state of the system is indicated by two LEDs on the front cabinet. Mounting Options: The Dynaudio Xeo 10 powered wireless speaker system can be placed on a table-top, desk, shelf, or set of speaker stands. Pre-installed rubber bases provide a non-slip surface. 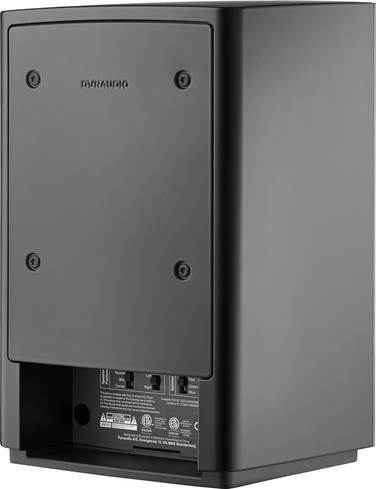 The Xeo 10 can also be wall-mounted using proprietary brackets (sold separately). 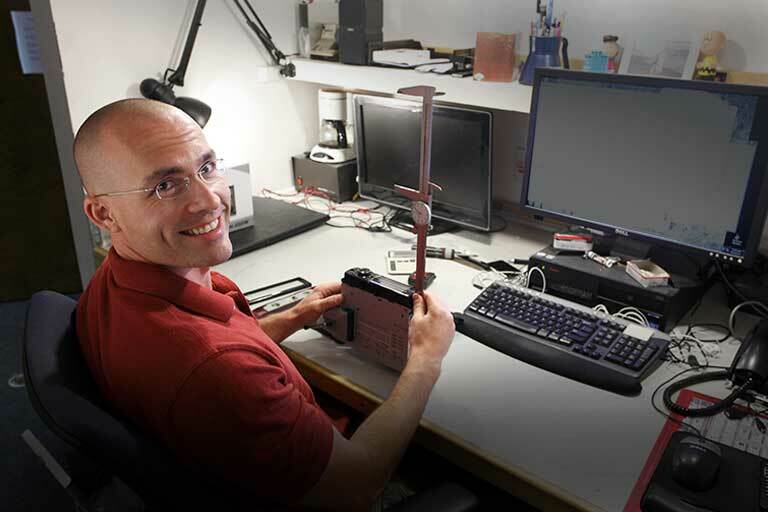 Desk Stand: The Xeo 10 desk stand (sold separately) boasts a rigid, low-resonance aluminum construction, and raises the Xeo 10 above the surface to enable optimum sound quality and performance from the loudspeaker. The internal cable channel allows the wires to disappear into the desk stand and below the integrated plinth. Wall Bracket: Another option is the discrete and elegant Xeo wall-bracket (sold separately) that allows you to directly mount the Xeo 10 almost flush to the wall; or alternatively to mount the Xeo 10 with some extra space to the wall, allowing you to angle the speaker 180° left or right. The Xeo 10 wall-bracket is made of solid aluminum and provides a low-resonance, rigid and elegant bracket for the speaker. 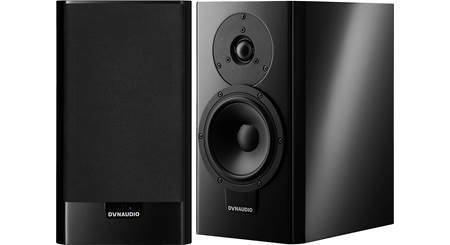 Dynaudio Connect: The Dynaudio Connect (sold separately) connects the Xeo 10 speaker system to your home WiFi network and lets you stream music directly from your smartphone, tablet, laptop, or computer. Dynaudio Connect even supports Spotify Connect, so you can stream music directly from your Spotify account. The Connect also features analog inputs (including 3.5mm Aux and stereo RCA input), as well as digital inputs (including USB-B and optical/coaxial digital) to connect your external analog and digital audio devices. In addition, the Dynaudio Connect offers built-in Bluetooth. AC Power w/ Auto Standby: Each powered wireless speaker comes with an 8' detachable AC power cord and will need to be plugged into an AC wall outlet or surge protector (sold separately). 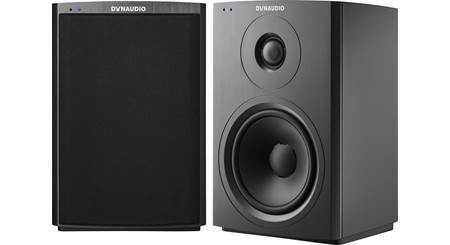 The Dynaudio Xeo 10 speaker system will automatically switch to standby mode if there is no audio signal for 20 minutes. 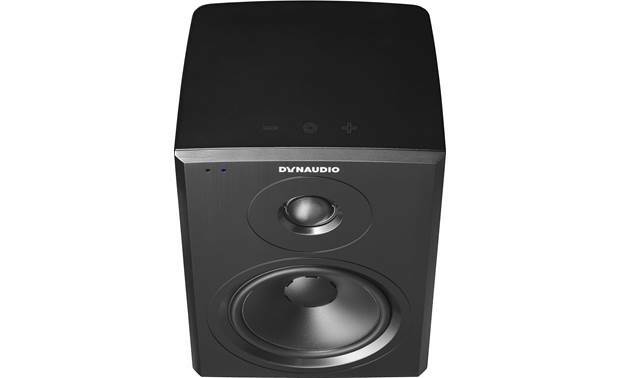 Note: The Dynaudio Xeo 10 powered wireless speakers are not battery powered. Firmware Updates: There is a USB-A port on the back-panel of each Xeo 10 speaker which allows for firmware updates. 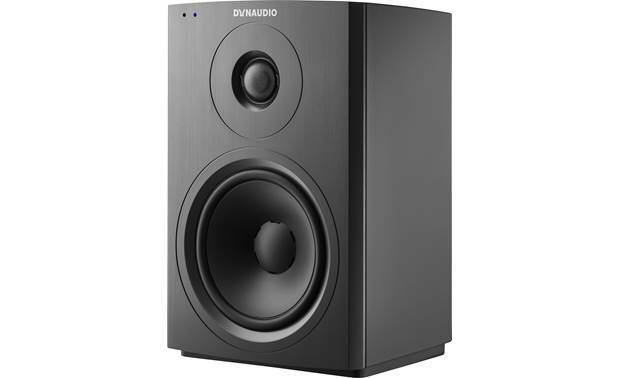 The firmware updates can be downloaded from the Dynaudio website onto a USB thumbdrive which will then need to be inserted into each speaker's USB-A port. Searches related to the Dynaudio Xeo 10 High-performance active stereo speakers.